There’s no denying that panic attacks are scary. If you witness someone having one, it’s important to react and help them in the proper way. John Furst, author of THE COMPLETE FIRST AID POCKET GUIDE, walks you through a guide to panic attacks and hyperventilation. Panic Attacks and Hyperventilation A panic attack occurs when a victim experiences sudden intense anxiety, usually accompanied by physical symptoms such as hyperventilation (breathing too fast), sweating, palpitations (fluttery or rapid heartbeat), and muscle cramps. Panic attacks can be very frightening and may strike without warning. 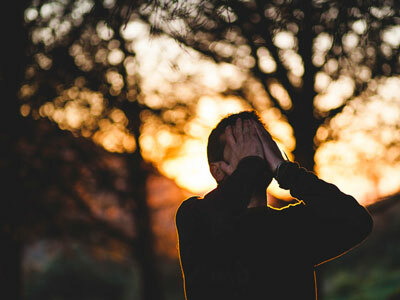 The physical symptoms associated with a panic attack can be severe; these symptoms often intensify the victim’s anxiety state, and the panic attack worsens. Hyperventilation, or overbreathing, is a common feature of panic attacks. In severe cases, this can lead to numbness or clawing of the hands and tingling of the lips. This occurs because overbreathing affects the level of carbon dioxide in the blood, which causes the symptoms of tingling, numbness, and hand clawing. These symptoms can make the victim more anxious and therefore worsen the hyperventilation and panic attack. Always remember that hyperventilation may be due to another medical problem (for example, an acute asthma attack or a heart attack). If you are worried the victim is having a medical emergency, then call EMS. People who have regular panic attacks may take antianxiety medication or carry medication to use when a panic attack strikes. Let’s take a look at what you can do to help a victim of a panic attack. Ask the victim if there is anything you can do to help (for example, by removing a trigger of the panic attack). Focus the victim’s breathing—talk the person through taking deep, slow breaths to slow down hyperventilation. Provide lots of reassurance and maintain the victim’s dignity (for example, ensure any bystanders move on). Call EMS if the victim loses consciousness, she appears to be having severe difficulty breathing, or you suspect she is having an asthma attack. 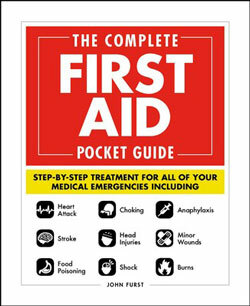 Check out THE COMPLETE FIRST AID POCKET GUIDE by John Furst for more first aid and emergency tips. Excerpted from The Complete First Aid Pocket Guide by John Furst. Copyright © 2018 by the author. Used by permission of the publisher. All rights reserved. Photo by Francisco Moreno on Unsplash. From minor cuts and burns, to heart attacks and strokes, this handy, take-anywhere guide gives you the knowledge and advice you need to recognize and respond to any medical emergency.Be prepared for any medical emergency and handle it safely and efficiently with The Complete First Aid Pocket Guide. Quickly identify signs and symptoms of a wide range of medical conditions andlearn how to recognize the difference between a minor injury or illness, and those that are more serious with this essential handbook. Each section of The Complete First Aid Pocket Guide includes a quick list of signs and symptoms to look for and step-by-step first aid instructions for dealing with each situation, all in user-friendly, simple language that’s easy to understand. Medical issues covered include: —First aid basics, including roles and responsibilities of a first aider, managing an incident, activating emergency services, and infection control —Lifesaving skills including the recovery position, cardiopulmonary resuscitation (CPR), and use of an automated external defibrillator (AED) —Minor injuries and conditions, including soft tissue injuries, splinters, blisters, eye injuries, nosebleed, diarrhea, and vomiting —Traumatic injuries including severe bleeding, amputation, shock, fractures, crush injuries, burns, and head and neck injuries —Medical emergencies including heart attack, stroke, asthma, anaphylaxis, hypoglycemia, meningitis, seizures, poisoning, and emergency childbirth —Environmental conditions including hypothermia, frostbite, heat stroke, sunburn, and lightning strike —Pediatric emergencies and illnesses, including assessing an unresponsive child or baby, pediatric cardiopulmonary resuscitation (CPR), choking, croup, and febrile seizures —First aid kit lists for home, vehicles, and outdoor use With an appendix featuring an A-to-Z list of every condition covered, it’s easy for you to quickly find the exact information you need in any situation you may face. With its small trim and portable size, The Complete First Aid Pocket Guide is the perfect addition to a home first aid kit, car first aid kit, disaster-survival bag, as well as a pocket companion for EMTs and other first responders in the field.